Writing a business plan isn’t just for corporations—even freelancers can benefit from a business plan. A solid business plan will enable you to clearly define your goals and encourage you to stay on the path you have set for yourself and your business. Additionally, a well-written business plan will help you stand out from your competitors, make you more attractive to potential customers and clients, and improve your chances for success. Follow these tips for writing a business plan and you’ll be heading in the right direction. Before jumping into it, it is a good idea to have an outline of why you want and need a business plan. This will enable you to better write a plan that is well-organized, providing you with a strategy and course to follow, as well as providing information about your products or services to customers and clients. In the case that you need to acquire startup capital from investors or the bank, a solid business plan is essential, and should cover everything from projected expenses, earnings and profits, to marketing strategies, to a company description and company philosophy. Your business plan should contain clearly defined goals. The goals should be realistic, based on market research, the skills you possess, the resources at your disposal, and any funds needed. In addition to planning your goals, it also helps to include a realistic timeline for achieving those goals. This will provide you motivation and encouragement, as well as enable you to stick to a timeline. Whether you are a sole freelancer, or if you have employees at your disposal,it is important for you to advertise yourself to investors and clients in order to improve your chances for success and acquire new business. You might think of this as somewhat like a resume—you will essentially be highlighting your skills, achievements, experience, and the products or services you can provide. You also want to detail any specific benefits offered by yourself and your services that set you apart from competitors. While a large portion of your business plan will be written mainly for yourself, this is the section you’ll want to present to prospective clients. In order to effectively develop a good business plan, you must understand thestate of the current market. How much are customers willing to spend for your products or services? What are your competitors like? Is the economy affecting the market? Do you provide a niche product or service? The more you know about your own company, as well as what you know about your target market and their consumer habits, you’ll be in a better position to target customers and improve your market share. 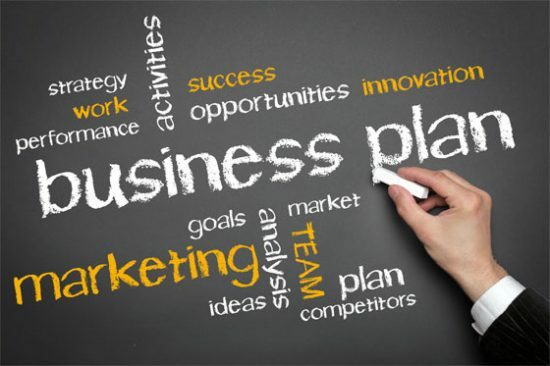 When writing your business plan, it can be especially beneficial to have a marketing plan in place. Your marketing plan is comprised of several components: detail how you will market your services to your target customer base; list any resources at your disposal that can be utilized for your marketing purposes; list expenses for marketing so that you have a clear idea of how much you can expect to spend; and if applicable, lay out an organized timeline for your marketing plan as well as goals for target market penetration—you’ll also need a method in which you can analyze the success of your marketing strategy. Understand that you marketing plan may need to be revised or changed completely. This is why good marketing analysis is important. Without sufficient knowledge of how well your marketing efforts are being received, you won’t be able to adjust accordingly and improve where necessary. A business plan is never really complete. It may serve you well for some time, but factors such as the economy, action from competitors, a changing target market, etc., will cause you to have to rethink and revise your plan. You need to consider this when first writing your business plan, allowing for possible changes and alterations in the future. In fact, it is a good idea to revisit your business plan every six months or every year to see if it can be improved or adjusted to reflect the current or future business landscape.